This item (P13771) is not currently available for purchase. Illuminate your holiday display in a glow of warm white light. Hang these brilliant spheres from trees, banisters, and mantels to create an elegant ambiance. Mix and match them with a variety of sizes and colors to make your light display mesmerizing. 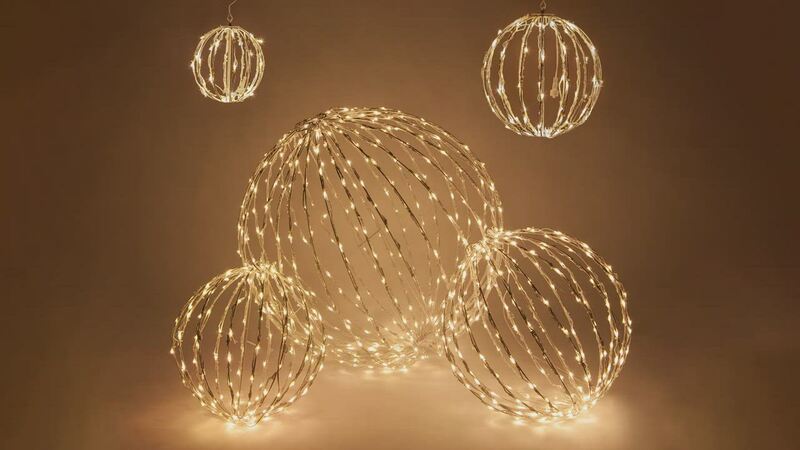 Each sphere is intricately lit with energy efficient 5mm LED bulbs. When the holidays are over, simply take the spheres down and collapse them to save storage space. Create innovative light displays easily this holiday season! Just beautiful. I am getting two more.